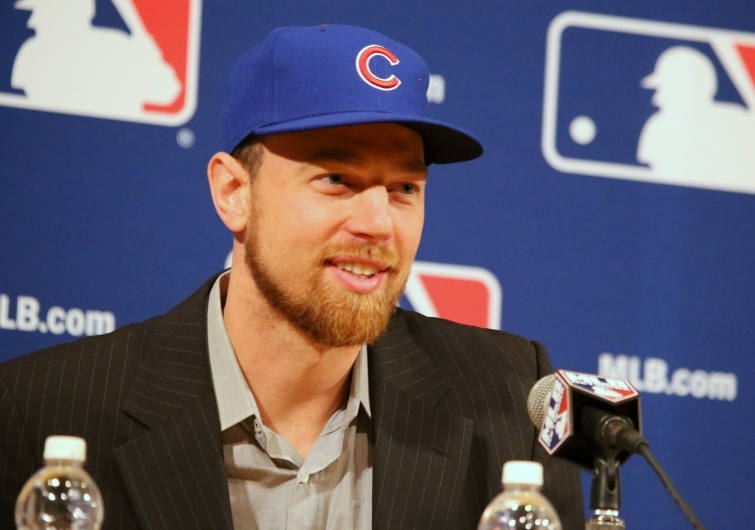 Chicago Cubs player Ben Zobrist may have just become the first ever Cub to win a World Series MVP, but he is seeking to use his massive platform to express his devout Christian faith to the masses. “We know that as a Christian athlete, people are watching, and so we want to be the best example we can be and show that we are different – that Christ has changed our lives," Zobrist said in 2013. "But at the same time, I want people to know that grace is for everyone. We all need grace. We all need Christ. "The biggest things is, I'm still learning," Zobrist said in an FCA interview, referencing his faith. "I still have a lot to learn about what the love of Christ is like – that it's not just knowledge ... but it's allowing the truth to change you – allowing Christ's message of grace and hope and love through the cross, that that message is the message that changes the way we look at everything in our lives."